The Rollo Clan association aims to bring together members and friends from around the world. Our Scottish-based Society allows the Clan to continue its traditional functions, foster kinship worldwide, provide news and share information. A Clan gathering is held every 5 years. Details of which can be found in the 'News' link. The name Rollo is of Norse/Norman origin. Rollo is the Latinised form of the Norwegian ‘Hrolf’, and the first man to have borne this name was a Viking chief who, by force of arms, settled with his followers in the part of France that is now called Normandy. He was known as Ganger Hrolf (Rollo the Walker), so called from being so big that no horse, or at least not the Norwegian ponies of that era, could carry him. His dates are approximately 846 – 931. The French king at the time, Charles the Simple, thought it wise to let these Vikings have the land rather than allow them to threaten Paris, and thus the Treaty of Saint-Clair-sur-Epte of 911 came into effect. 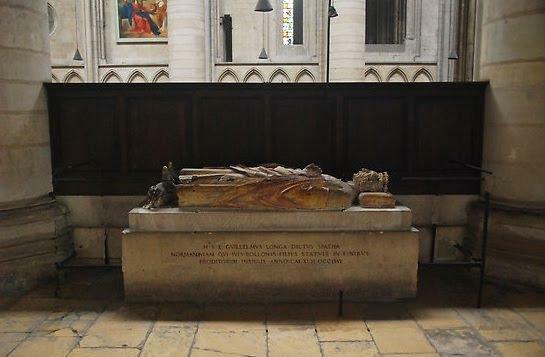 Rollo became the first Duke of Normandy and he was buried in Rouen, his capital. His great-great-great grandson was William Rollo, Duke of Normandy, also known as ‘The Conqueror’. In 1066, Erik Rollo accompanied his uncle, the Conqueror, on the invasion, and it is believed that his son or grandson, Richard, followed King David I of Scotland when the latter left the English court to reclaim his Scottish throne. The name first appears on record in Scotland in a charter of around 1141 granted by Robert de Brus. Robert Rollo obtained from King David II of Scotland lands near Perth in 1369. 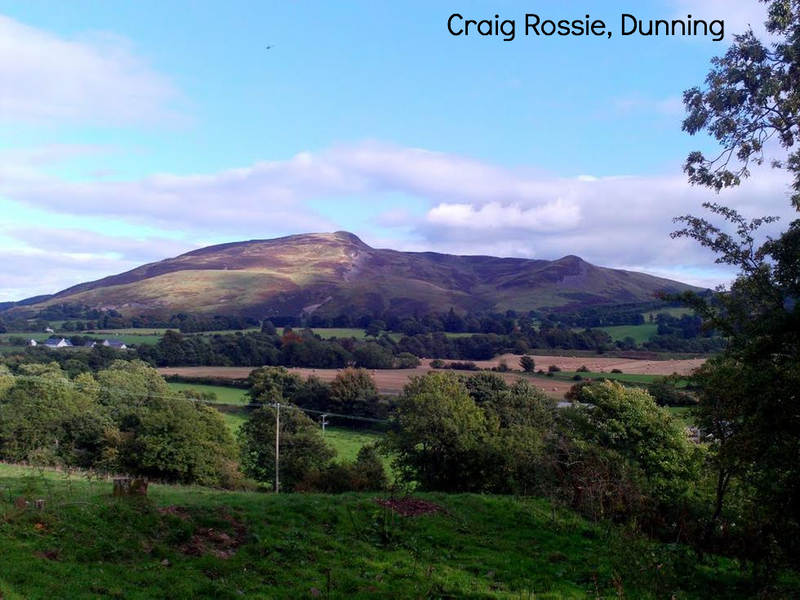 In February 1380, John Rollo, secretary to David, Earl of Fife and Monteith and Earl Palatine of Strathearn (the son of King Robert II), received a charter from the King confirming him in the lands “of Fyndony with park of Dunyn and the lands of Drumcroube and Ladcathy in the earldom of Stratherne within the sherrifdom of Perth, to him and to the heirs-male of his body”. Here is the founder of the House of Rollo, which has lived in the area of ‘Dunyn’ (now Dunning) ever since. John Rollo was succeeded by his son Duncan, an Auditor of the State Accounts from 1410 until his death in 1419. His son Andrew succeeded him, and he died in 148l. His grandson, William Rollo, succeeded and his lands were erected into a free barony in 1511. He, together with much of the Scottish nobility, died at Flodden in 1513, so Andrew Rollo was under age when he succeeded. One of Andrew’s younger sons, Peter, became Bishop of Dunkeld and a judge of the Court of Session. Andrew died in 1565 and was succeeded by his first son, George, (died,158l) and then by a second son who died in 1584. His grandson, Andrew, born in 1577, succeeded in 1584 and was knighted by King James VI (and I). The Clan Rollo were staunch royalist supporters of the king during the civil war. Their loyalty was rewarded when King Charles II created Sir Andrew Lord Rollo of Duncrub in 1651. However, by 1654, Oliver Cromwell was firmly in control of Scotland, and Lord Rollo was fined £1,000 for his royal connections. Lord Rollo’s fifth son, Sir William Rollo, was a gifted soldier and one of James Graham, 1st Marquess of Montrose's lieutenants. Sir William led the clan and commanded the left wing of the royal army at the Battle of Aberdeen in 1644, and followed the Marquess on his famous forced march over mountainous terrain which surprised the forces of the Marquess of Argyll and led to the royalist victory at the Battle of Inverlochy. When Montrose thrust south, the royalist forces were themselves trapped by an unexpected force of Covenanter cavalry at the Battle of Philiphaugh. Rollo was captured, and beheaded at Glasgow in October 1645. It is perhaps indicative of the complex politics of Scotland at this time that William’s brother, James, second Lord Rollo, was married first to the sister of James Graham, 1st Marquess of Montrose and then to the sister of his rival, the Marquess of Argyll. Robert, 4th Lord Rollo (succeeded 1701) was one of the first nobles to rally to the ‘Standard on the Braes o’ Mar’ in 1715. As Colonel of the Perthshire squadron, he took an active part in the rising. It was in 1715 that Dunning was burned (an event commemorated by the ‘Thorn Tree of Dunning’) by retreating Highlanders as part of a scorched earth policy. His son, Andrew, the 5th.Lord Rollo, took a prominent part in the war against the French in Canada. He was at Montreal when it surrendered and, with it, all of Canada. To this day there is a Rollo Bay in Prince Edward Island. He later, with the rank of Brigadier General, moved to Martinique in the West Indies when it was besieged by the British, and there lost his only surviving son, John, Master of Rollo, who was his Brigade Major at the time. Andrew then sadly contracted fever and returned to Britain, where he died at Leicester on 2nd June 1765 on his way home to Scotland. He is buried there in an especially fine tomb. Subsequent Lords Rollo have been prominent in the military. The seventh Lord fought with distinction at the siege of Pondicherry in India, commanding a force of marines. John, eighth Lord Rollo, was an officer in the 3rd Regiment of Foot Guards which is today the Scots Guards, and fought on the Continent between 1793 and 1795. He carried the Colour at the battle of Lincelles (1793). David, the current and 14th Lord Rollo, was born in1943. Like his father an ex-captain in the Grenadier Guards, he is married to Felicity and they have 3 sons, James, Thomas and William, and six grandchildren. The Clan Gatherings are held every 5 years at Pitcairns House, Dunning. Association members are invited. Please contact Liz Rollo via the 'Contact us' link for tickets or indeed to become a member.